"GRIPPING BEAST The first Campaign supplement for the Swordpoint Ancient & Medieval Ruleset! 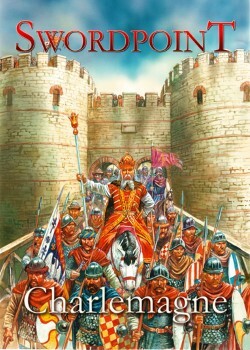 Refight the campaigns of legendary Frankish King, Charlemagne! Contains 3 new and 5 extended army lists plus nine new scenarios. NB You will need a copy of Swordpoint Ruleset to use this book!"